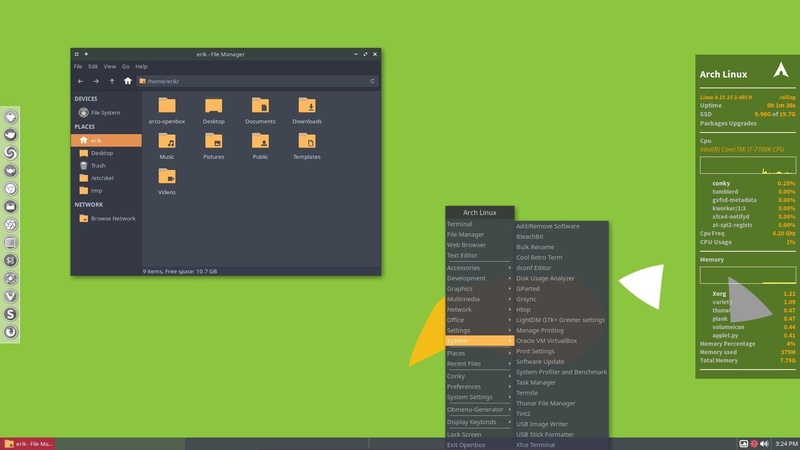 Let us go over every settings of Arch Linux Openbox and see what we still need to fix. Then we install trizen with yaourt. Then we install spotify with trizen. 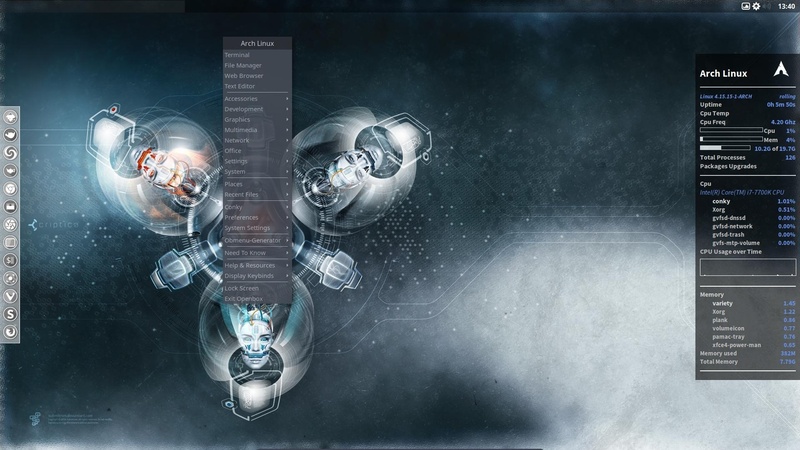 We change the conky and change the logo of the conky. We run temps and set it to brussels. We change the theme, icons and cursor. We need to do this in every application about theming. Lxappearance, Xfce4-appearance and GUI Config Tool. We change the theme of termite. We change the tint2 theme. We delete some of the menu’s because they point to ArcoLinux.